Seriously one of the most adorable stuffed animals I've ever seen! 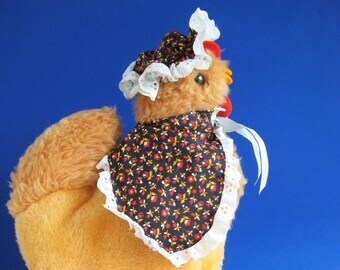 Vintage Chicken Mama Hen with one removable baby Chick stuffed animal. This Mama Hen is one plump lady! Yet she still has room for her chick to ride under her wing. The chick is attached with a small plastic tag which could be cut so he can be removed from Mama Hen and played with. 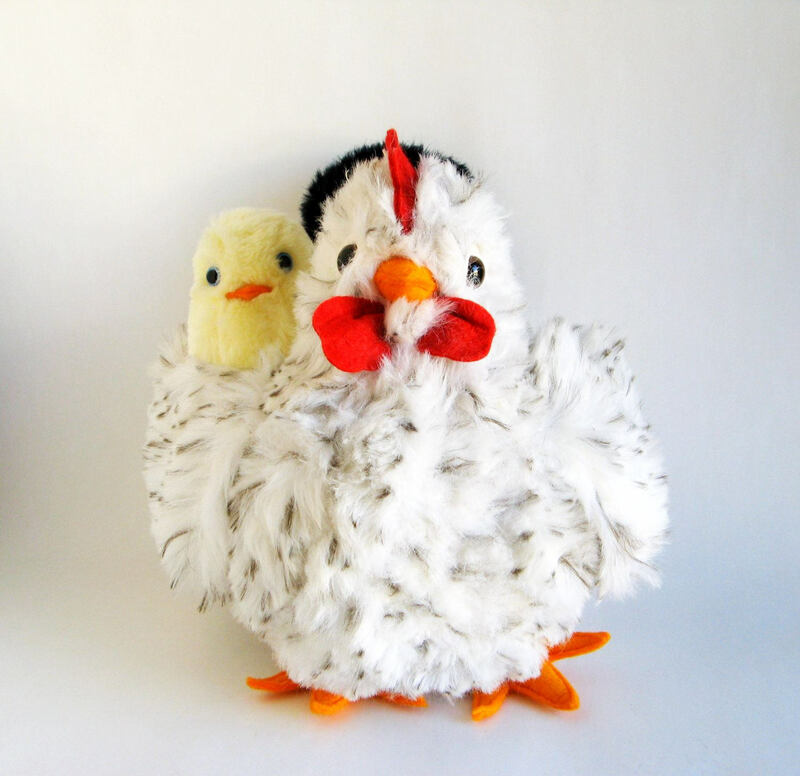 Mama Hen is super colorful with her bright red comb & crest, orange feet, black tail, and white with black speckled faux fur body. Her chick is just as colorful with yellow body, orange beak & bright blue eyes. This delightful family is in very good, played with condition. Made by Heartline International Graphics in 1985. © 1985 GRAPHIC INT'L, Inc.